Often confused with a site within a site collection, SPSite represents a collection (including top level web site annd all its sub sites. not a site. 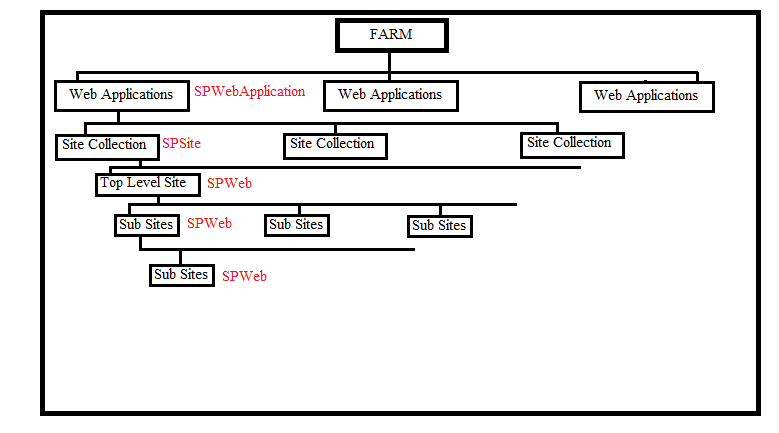 In each of these sites we can have more sub sites also called SPWeb. 1. When you click New under Central Administration>Application Management> Manage web applications, you are dealing with SPWebApplication. While creating a web application, you select Authentication type, port, host header and other settings. 2. 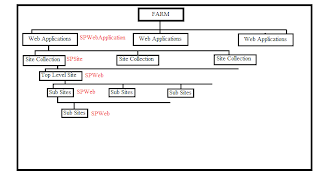 When you click Create site collections under Central Administration> Application Management, you are dealing with SPSite (you select a web application to create site collection in it). While creating a site collection, you select an existing web application and choose site templates. It is also available in SandBoxed solutions.